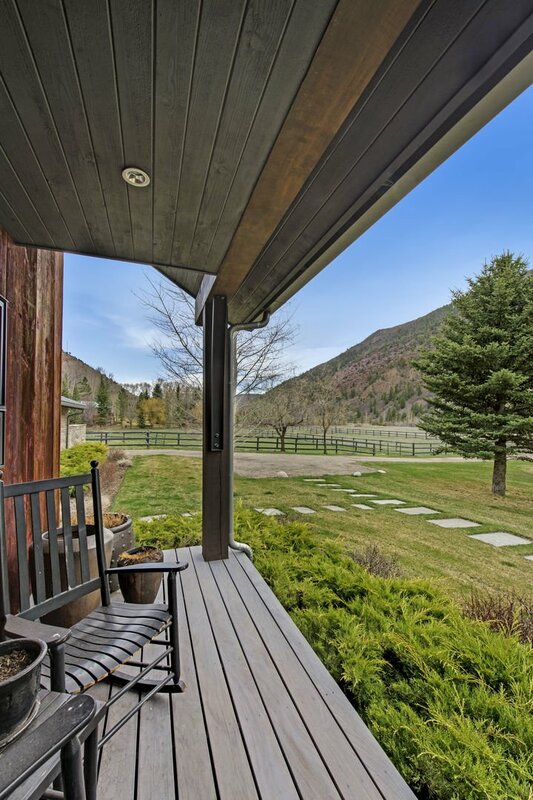 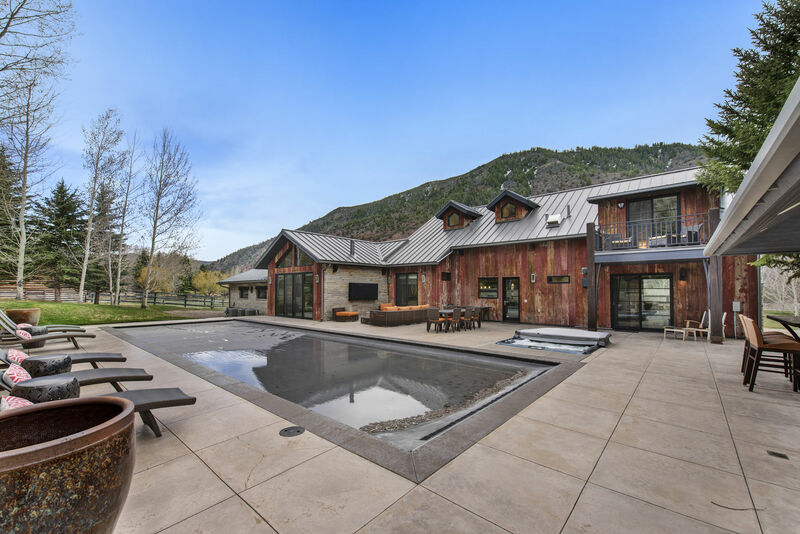 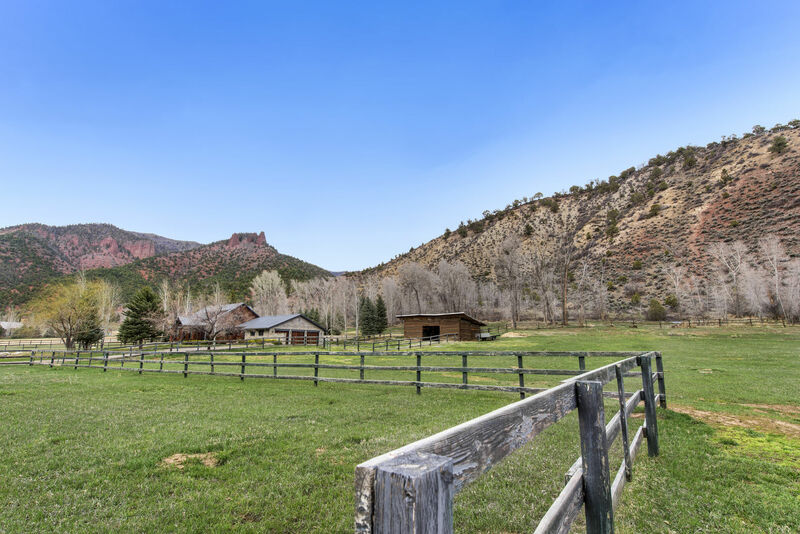 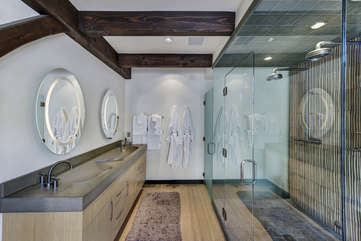 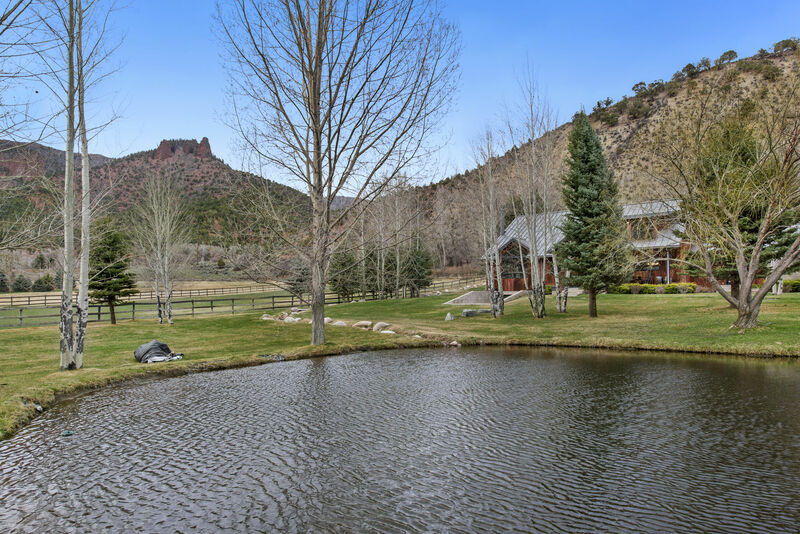 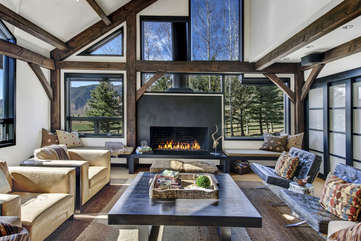 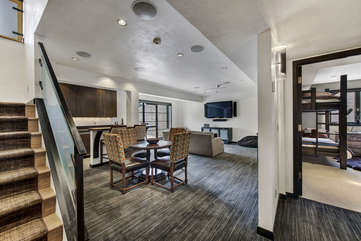 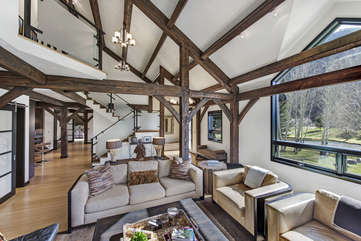 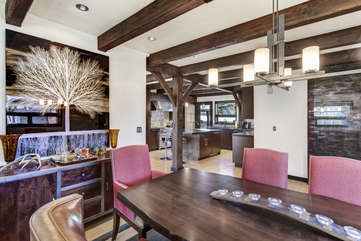 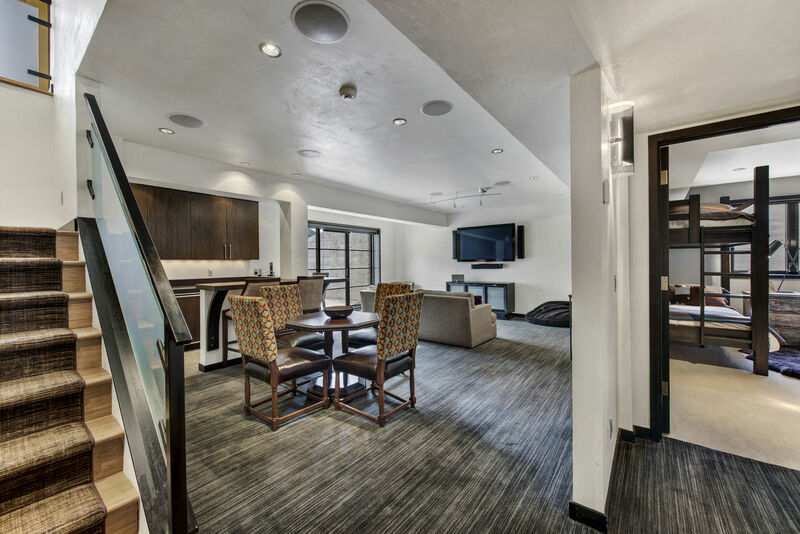 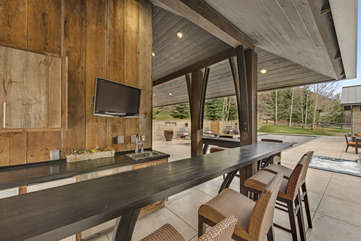 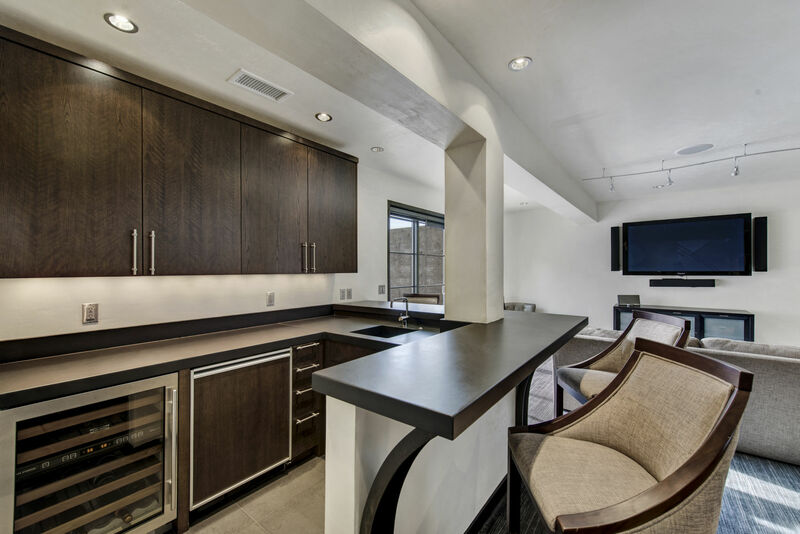 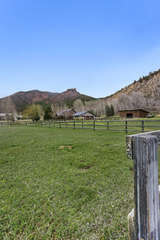 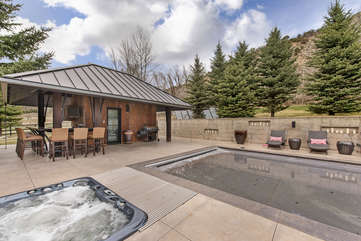 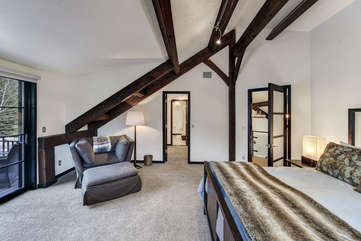 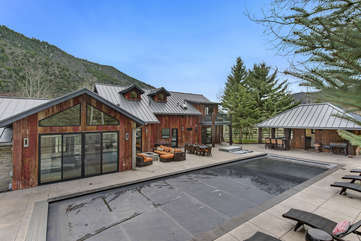 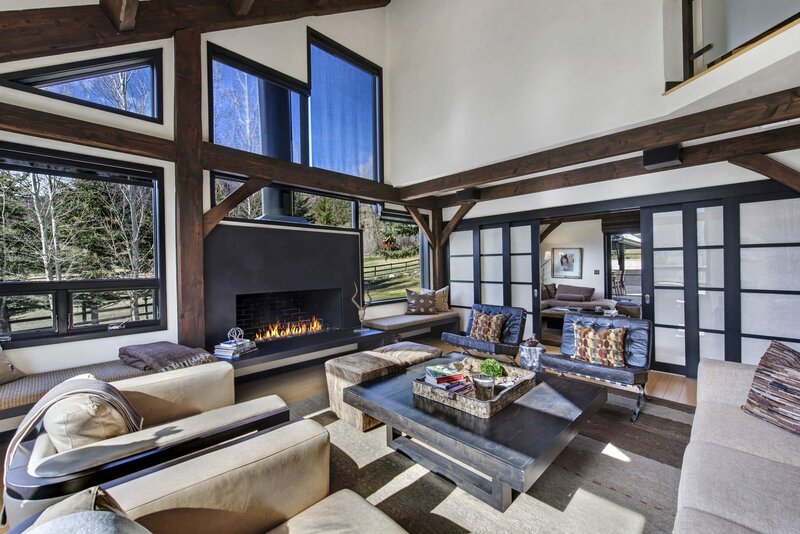 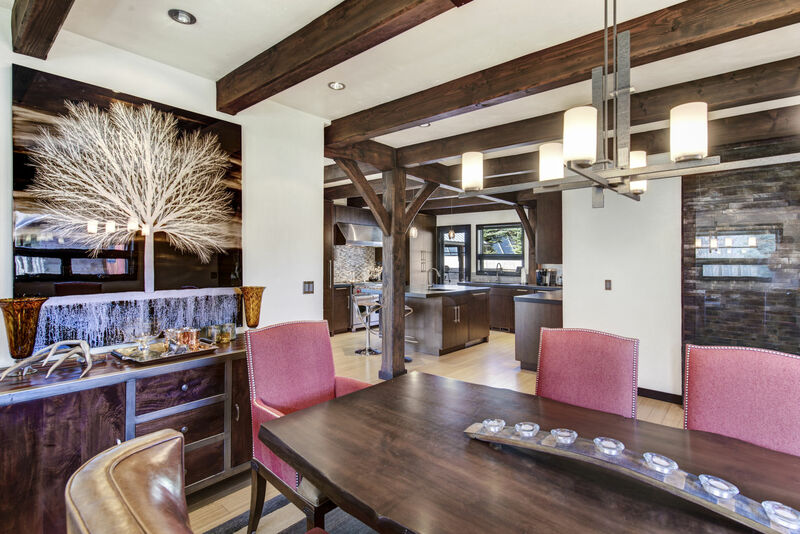 Aspen Retreat sits in a ranch land field at the foot of the Snowmass hilly terrain. 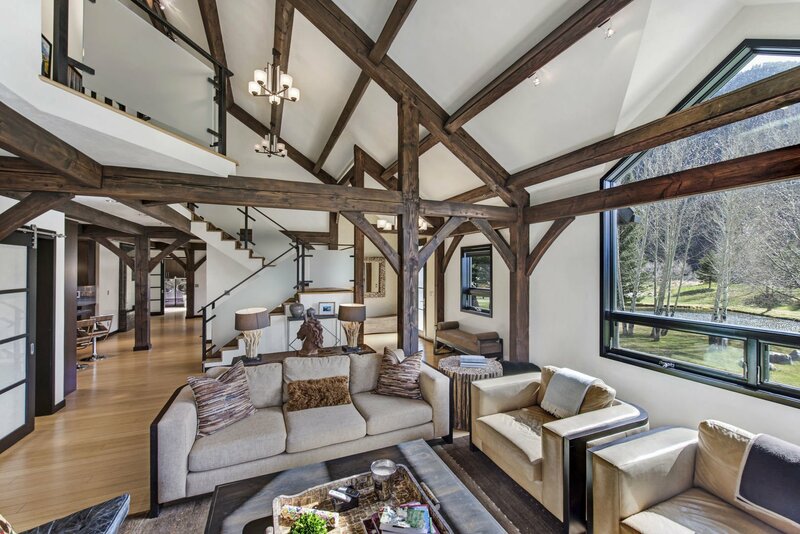 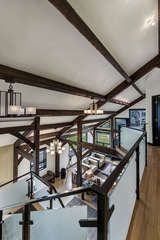 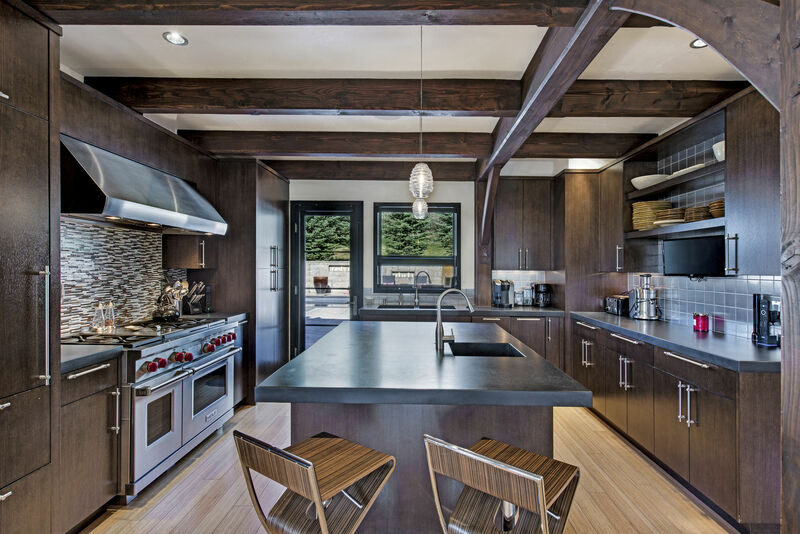 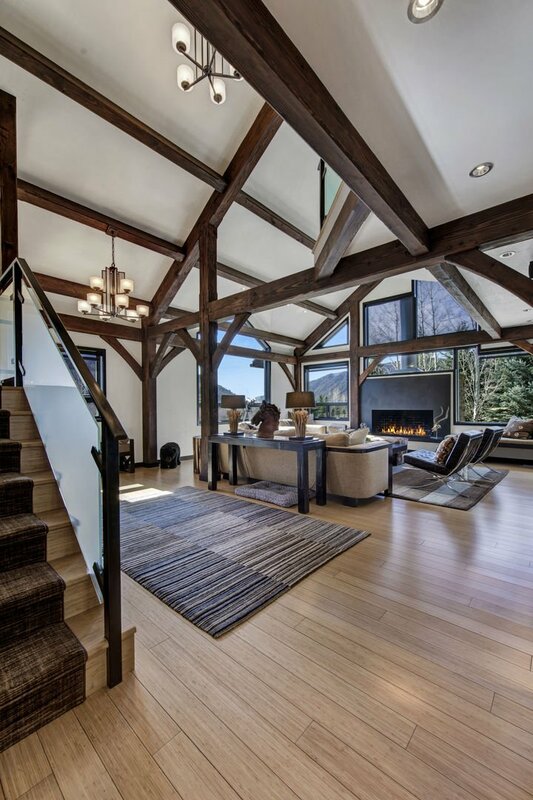 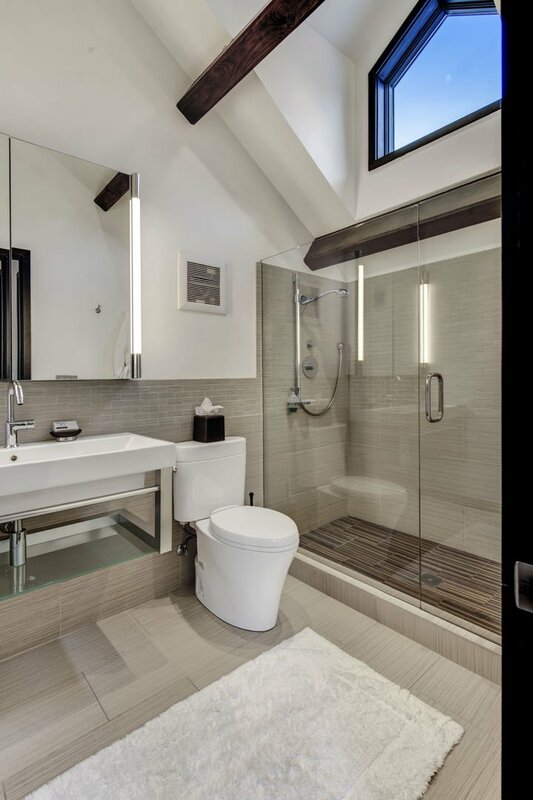 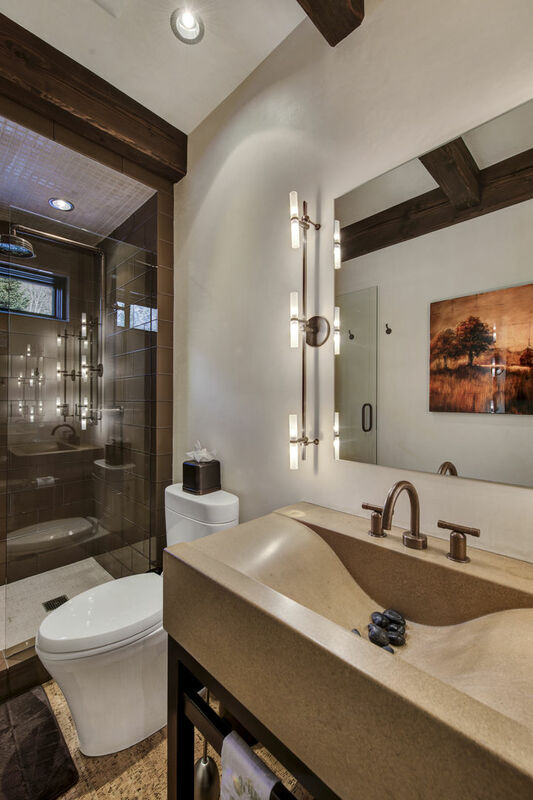 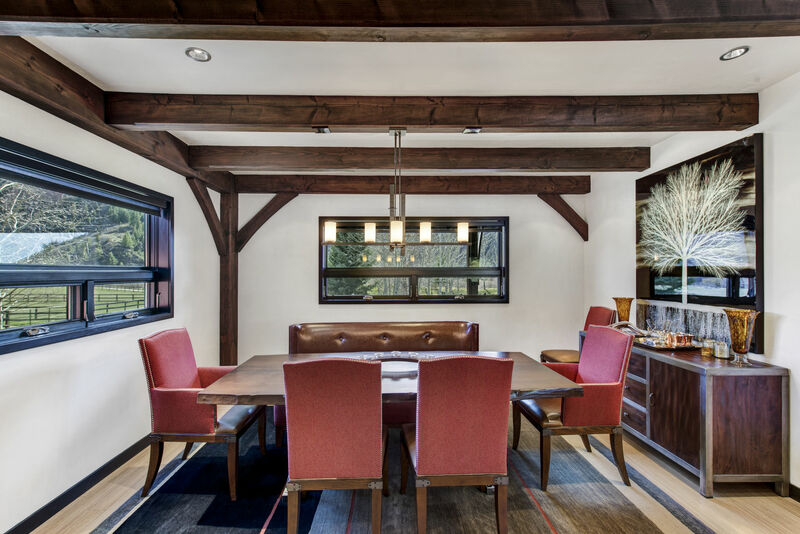 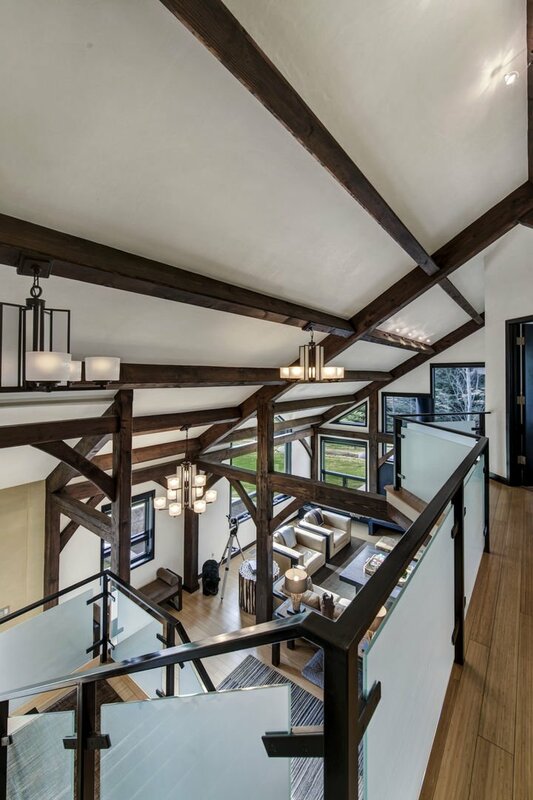 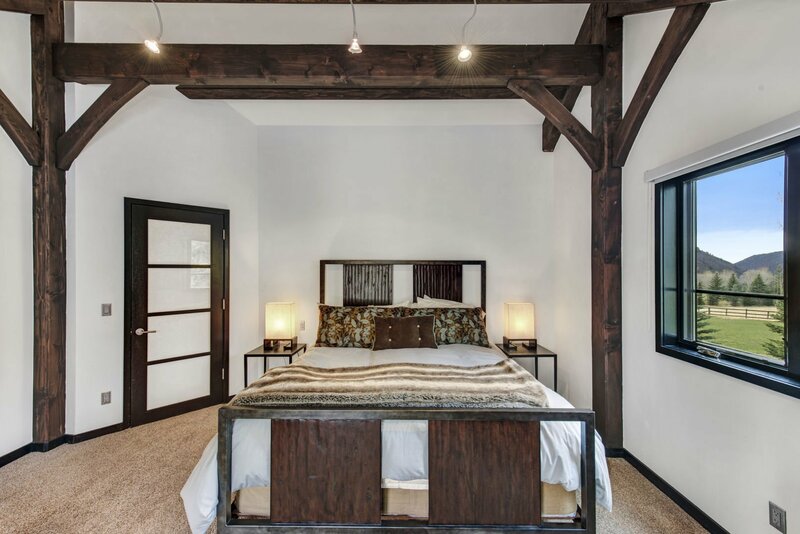 This home is designed with an modern, industrial-rustic aesthetic paying homage to surrounding Colorado wilderness. Reclaimed wood and handsome stone grace the exterior of this custom-built home. 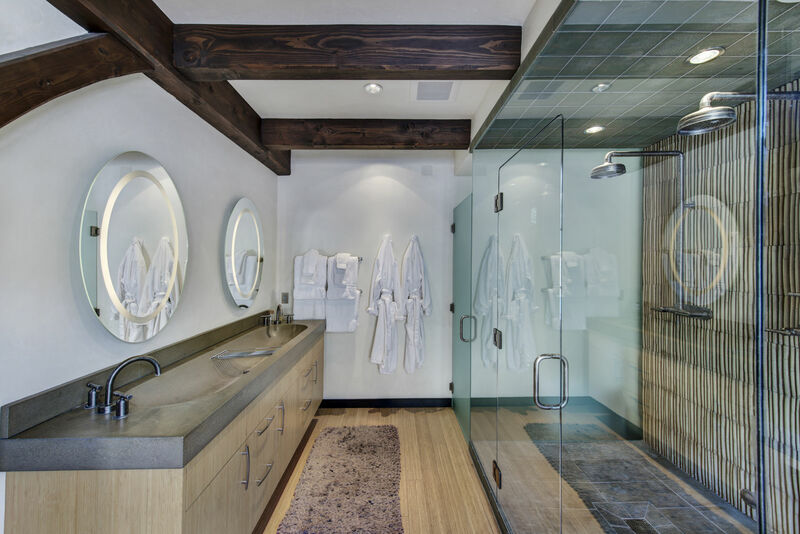 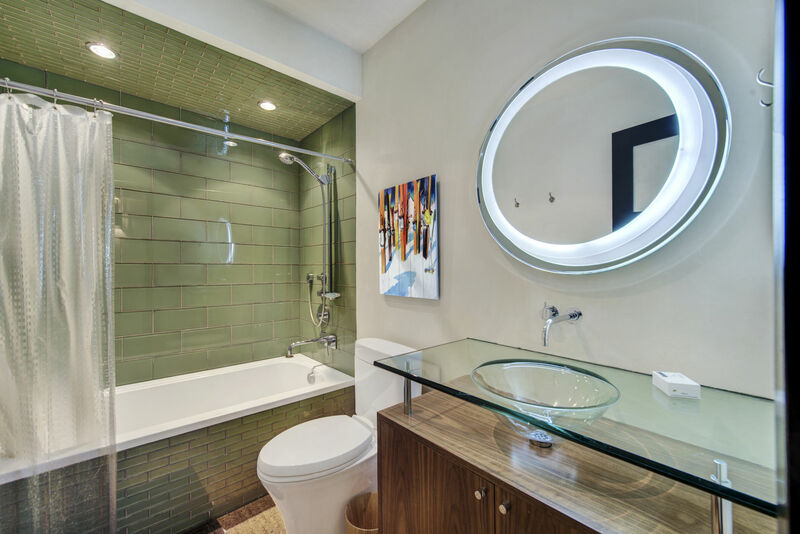 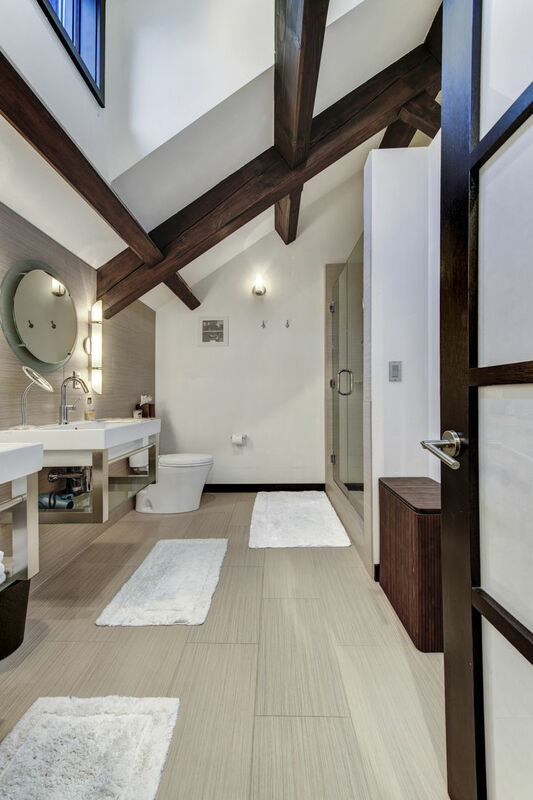 The interior is complemented with refined finishes and thoughtful design with smart sustainability features such as bamboo flooring, solar panels, and more. 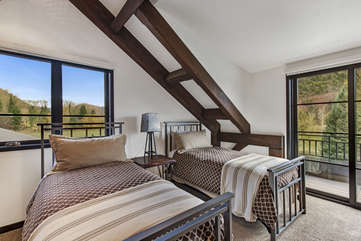 The 4 bedroom home is comprised of two king suites, a room with 2 twin beds, and the last room equipped with 2 sets of bunk beds. 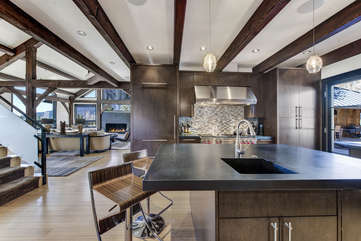 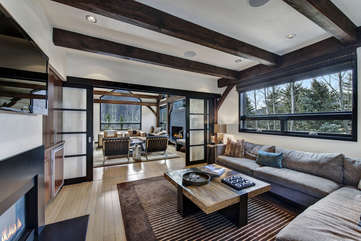 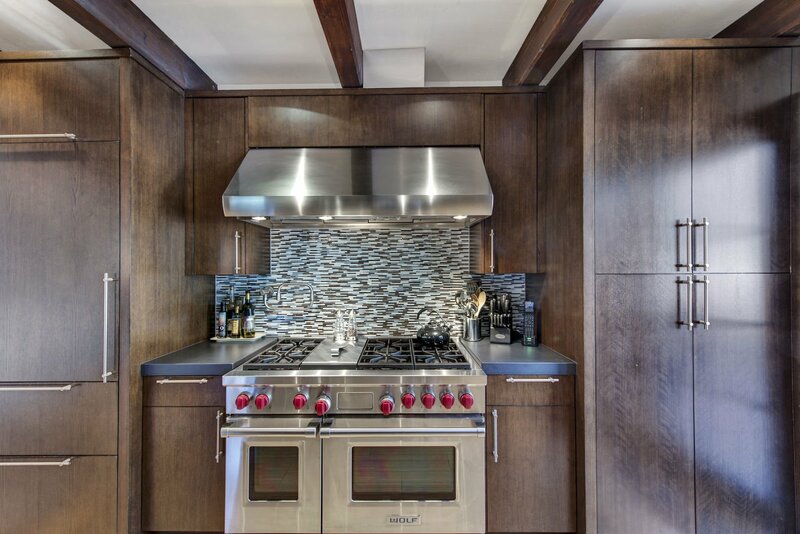 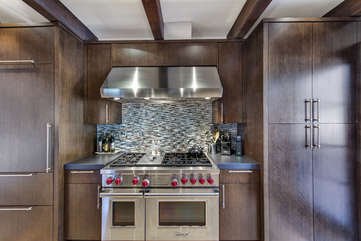 A modern kitchen, dining and living room with fireplace are set up for entertaining and bringing groups together. 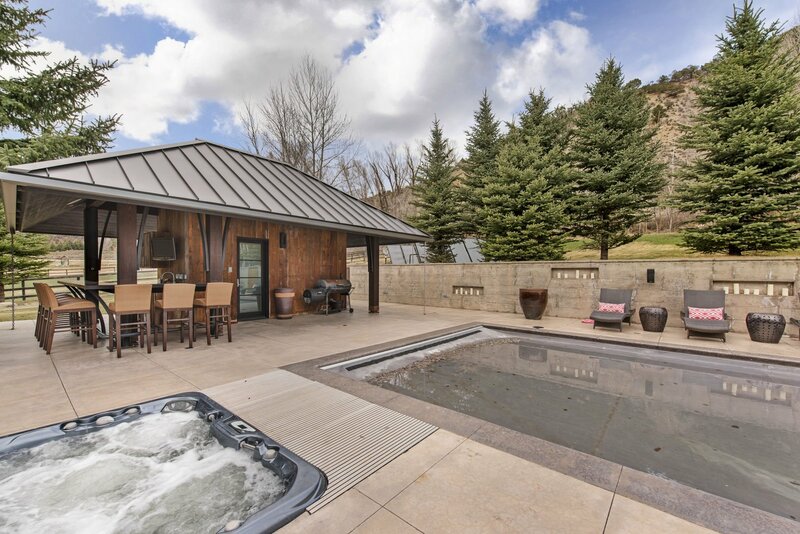 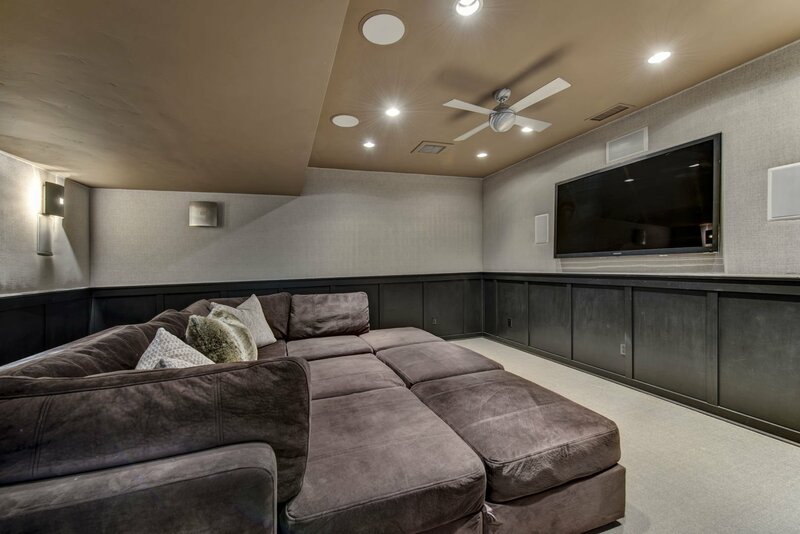 The exterior hardscapes are perfect for entertaining with an outdoor swimming pool and hot tub, cabana bar with flat screen televisions, and fire pit. 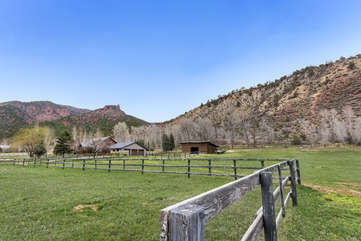 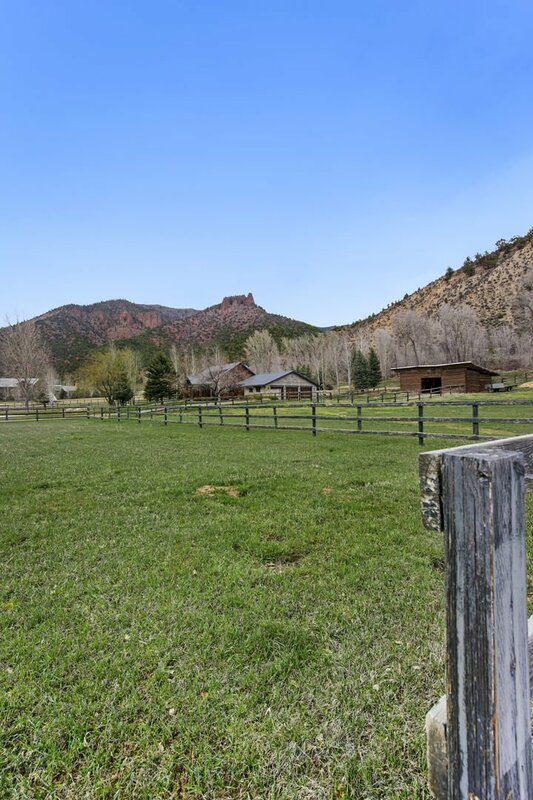 Located on 12 plus irrigated acres, with three pastures for horses.